In the keeping alive of this national sentiment in Scottish units, their distinctive dress and, still more, the retention of the national instrument, have played an important part ; and this applies with equal force to units composed of Scotsmen who have left their native land permanently or temporarily. Throughout the war these units have more than maintained the great traditions of their past history, carrying on the records of Scottish gallantry which have been excelled by no troops in the world and equalled by few. And so with the pipers. How important a contributory cause they have been to the success of their battalions is recognised by all alike, men and officers — and not least by the Field Marshal Commanding in Chief. In spite of modern conditions they have, in cases too numerous to record, played the part which was normally theirs in the olden days of set battles. 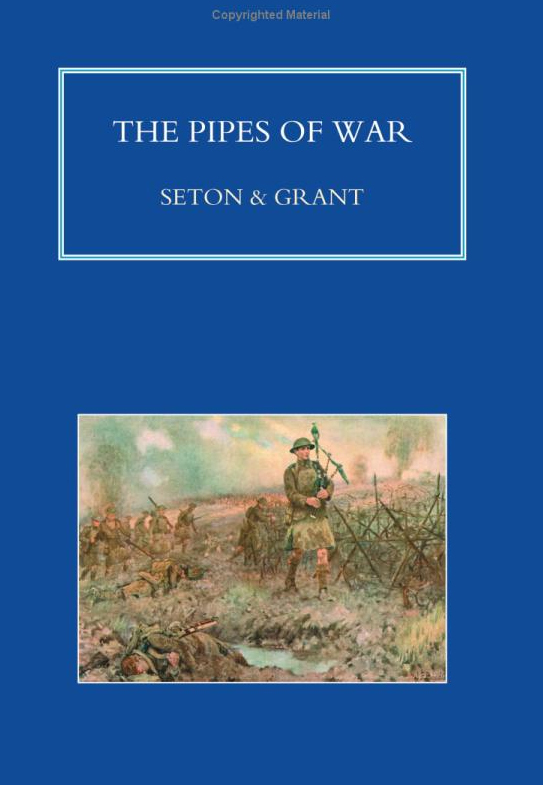 Download PDF copy of THE PIPES OF WAR here.